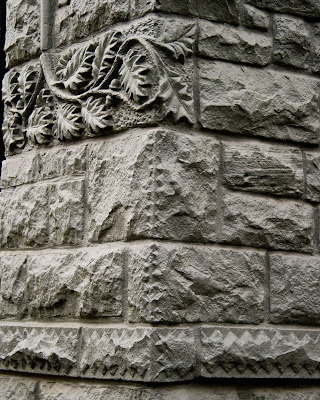 This assignment was to shoot three things: A type of vehicle, a stone residential structure, and an urban sculpture. I found all three items in my neighborhood. I like all of them except the creepy thinking rabbit...but it is an "urban sculpture" so I guess it's supposed to look like city art. City art is my least favorite. Jason likes to call it "crap that taxpayers probably pay for". 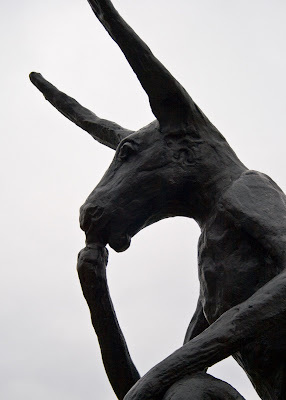 If I was going to pay for a city art sculpture, I'm not sure I would have chosen the rabbit. But they didn't ask me. I'm sure there are some artsy people who love it though! I'm with you - that thing looks like a rabbit, unicorn monster creation. 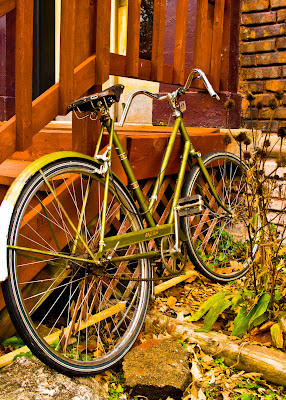 But go snag that bike for me it's so pretty!